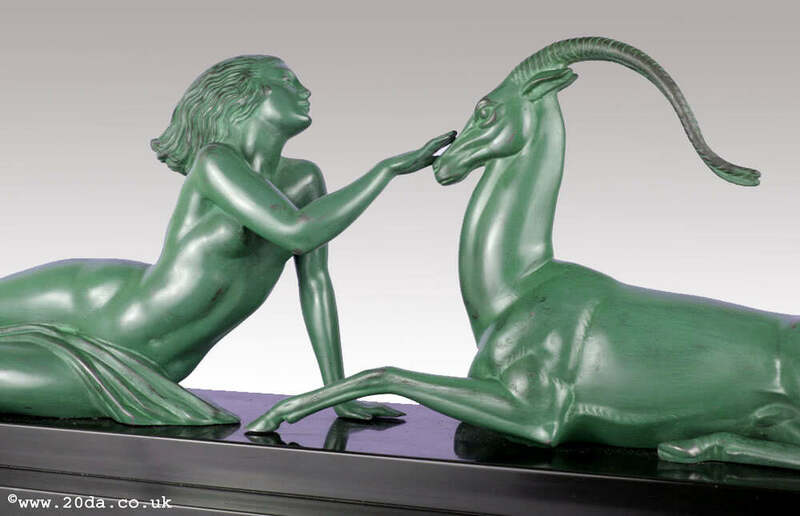 Fayral "Seduction" - An Art Deco metal figure by Fayral, France circa 1930, in original dark green finish. 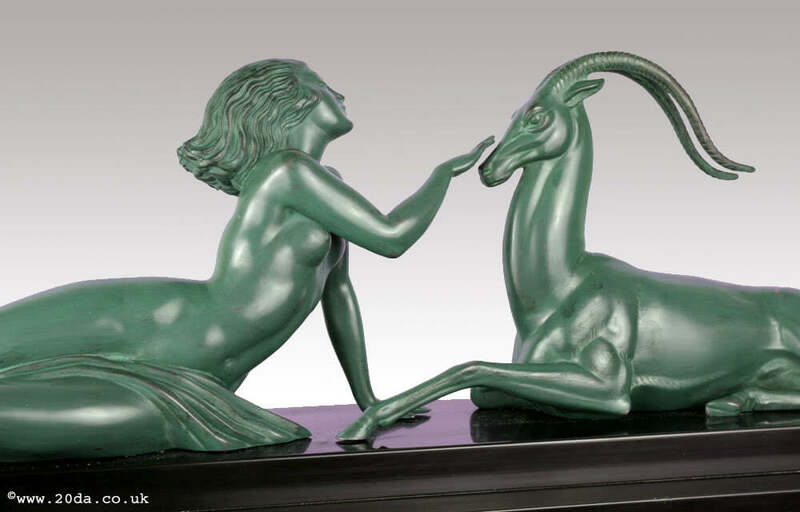 Edited by the famous Max Le Verrier foundry in Paris, Fayral is the pseudonym of the sculptor Pierre le Faguays. 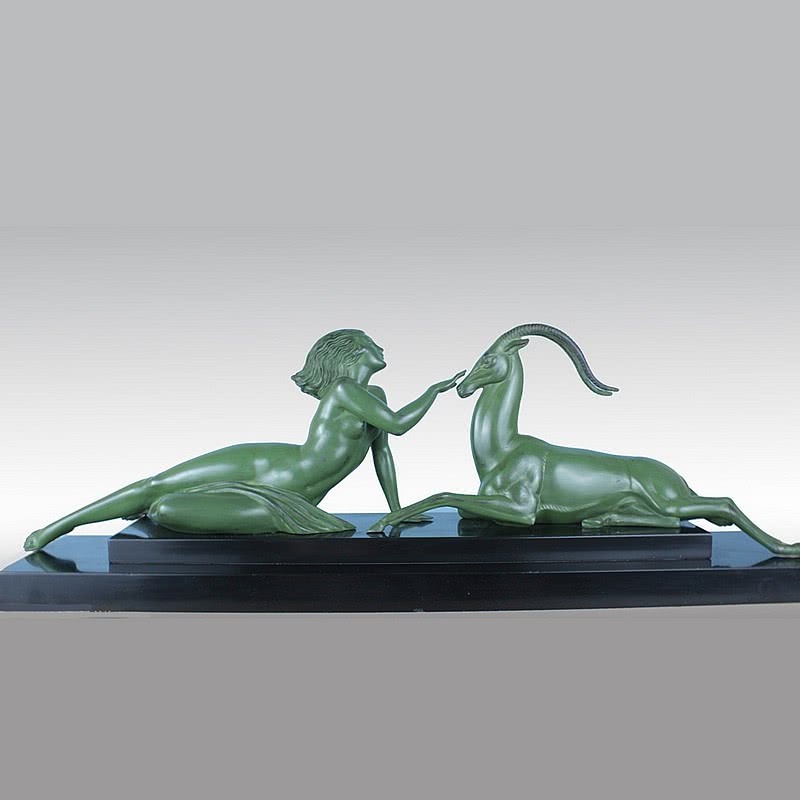 Le Verrier edited all white metal works by Le Faguays, which are signed Fayral or Le Faguays. Expected age wear to finish, filled chips to marble.